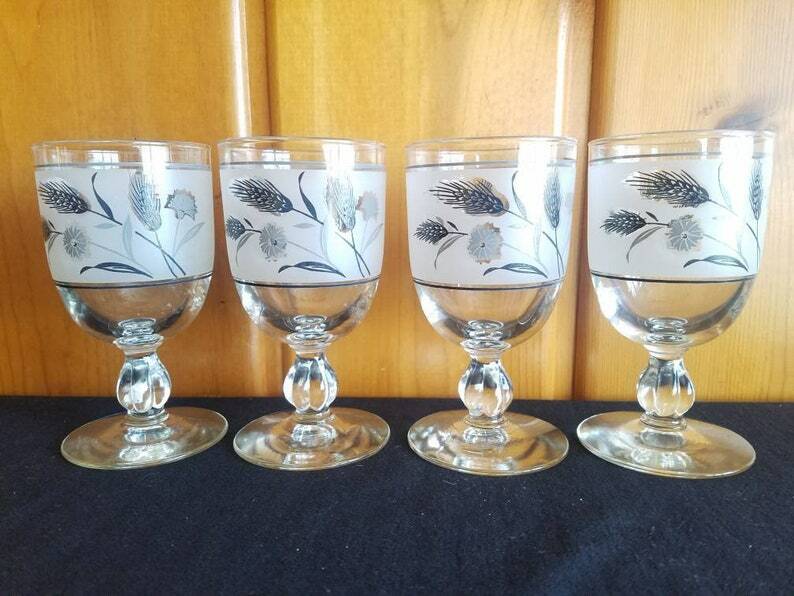 Set of 4 gold retro Wine Glasses or water goblets. They are frosted white with black and silver details. They have a wheat and flower pattern. Glassware by Libbey. Drinkware in good vintage condition showing some light ware. No chips or cracks. Good shows slight wear in spots. These elegant and perfect for your Holiday table, wedding or everyday occasion. They would go great with any wheat dish set. They are 5.5" tall 3" top They would make an excellent gift.